HealthCareMaryland.org is working with our friends and allies--other organizations, elected officials, and concerned individuals--to bring high-quality universal health care to Maryland in 2008. We're planning town halls, summits, conferences, and organizing legislative efforts. Click here to subscribe to updates from Health Care Maryland. Delegates Roger Manno (Dist-19), Karen Montgomery (Dist-14), Heather Mizeur and Tom Hucker (Dist-20) are working hard to improve health care in Maryland. Del. Manno is working with the Governor, House Speaker Mike Busch and others to make prescriptions affordable for Maryland residents who fall into the "donut hole" in the Federal Medicare Prescription Drug plan, and continues his efforts to prevent discrimination in health care. Del. 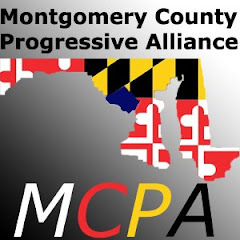 Montgomery is once again setting a high standard for health care legislation in Maryland, reintroducing her bill: (HB 1125) to guarantee health care for all Maryland residents through a "Single Payer" approach. By Philip Rucker | Washington Post Staff Writer - Spurred by the scandal at Walter Reed Army Medical Center and what some call other federal failures to provide care to returning soldiers, several Maryland lawmakers and Gov. Martin O'Malley's administration have introduced legislation to create new benefits and enhance services for veterans. The General Assembly is considering more than 20 bills dealing with veterans this legislative session. Chief among them is an O'Malley proposal to establish a state program to eliminate gaps in mental and behavioral health services for veterans. Through the $3.5 million pilot program, the state would help veterans of the wars in Iraq and Afghanistan by providing crisis management and referring them to treatment. Lansing State Journal - The Ingham Health Plan offers a health care benefit to 16,000 Ingham County residents who otherwise would have limited access to health care. It is a social accomplishment of significant magnitude that showcases the political good will of our community and the power of cooperative, collective action. It should be expanded until all county residents have access to health care. Rate of Hospital Visits Rising, Study Finds - Washington Post WEEK IN REVIEW | Jan. 27-Feb. 2 - One in five District residents has no regular source of health care, and rising rates of hospital visits suggest declining access to doctors and community clinics, a study of D.C. health issues has found. The study by Rand Corp., a nonprofit research group, looked at data on chronic disease, insurance, hospital capacity and emergency services and found much wanting. The report was commissioned by the D.C. Council. By LINDA A. JOHNSON | AP Business Writer - February 1, 2008 TRENTON, N.J. -- The country's biggest program to pay doctors extra for top-notch, comprehensive care, part of a growing national movement to hold down medical spending by preventing mistakes and complications, is expanding _ geographically and in what it tackles. Bridges to Excellence, a nonprofit group, gives doctors annual payments _ $50 to $200 per participating patient _ for giving effective care and preventing costly complications of diabetes and heart disease. Employers and health insurers underwrite the costs. ANNAPOLIS, Md. (AP)--Maryland could lose up to $75 million in federal money for Medicaid case management services designed to provide preventive health care, a change that could affect up to 200,000 state residents, state health officials and advocates said Friday. The rules, which were drafted by the federal government's Centers for Medicare and Medicaid Services and will affect all 50 states, are scheduled to take effect in March. House Committee To Get Briefing On Medicaid Rule - ANNAPOLIS, Md. (AP) -- A House committee will get a briefing Friday on the impact of a federal rule regarding Medicaid case management services. The rule takes effect in March and is designed to help Medicaid recipients get access to care and eliminate abuse claims. But Governor Martin O'Malley is urging the U.S. Department of Health and Human Services to reconsider the regulations. To be in compliance, O'Malley writes that Maryland may be forced to leave many vulnerable populations without any access to needed case management services. The hearing is scheduled for this afternoon in the House Health and Government Operations Committee. Official: Bush Budget Will Squeeze Health Care - Democrats: Bush's budget targets the wrong health care providers for cuts, insurers subsidized to provide Medicare coverage are being overpaid. WASHINGTON (AP) ― President Bush's 2009 budget will virtually freeze most domestic programs and seek nearly $200 billion in savings from federal health care programs, a senior administration official said Thursday. The Bush budget also will likely exceed $3 trillion, this official said. Bush on Monday will present his proposed budget for the new fiscal year to Congress, where it's unlikely to gain much traction in the midst of a presidential campaign. The president has promised a plan that would erase the budget deficit by 2012 if his policies are followed. Bush will propose nearly $178 billion in savings from Medicare — a number that's nearly triple what he proposed last year. Much of the savings would come from freezing reimbursement rates for most health care providers for three years. An additional $17 billion would come from the Medicaid program, the state-federal partnership that provides health coverage to the poor. The cuts would come over five years.